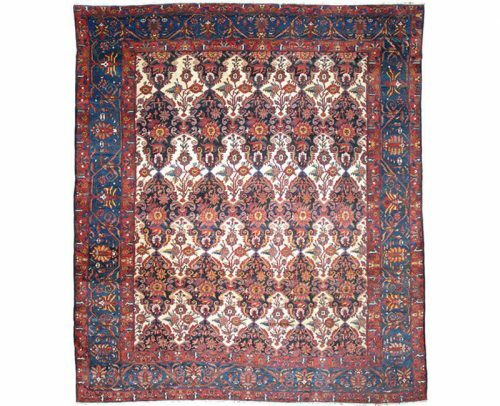 Condition: Excellent – Wear consistent with age. 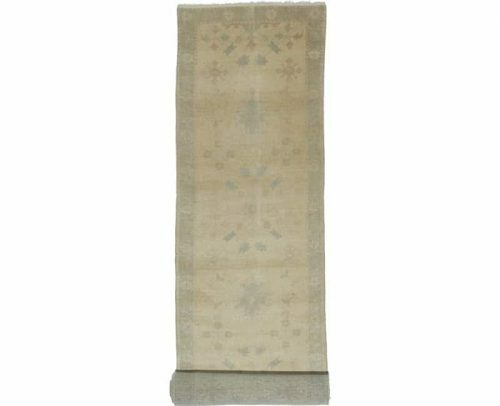 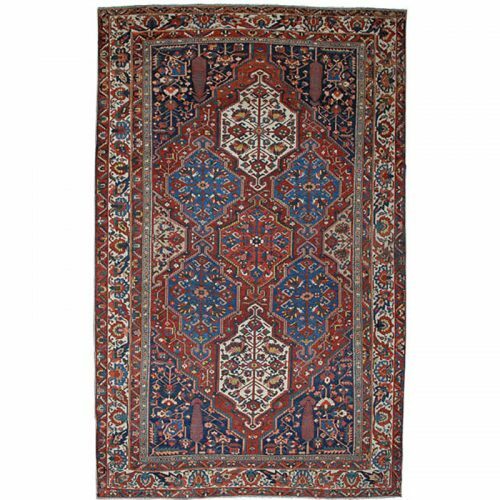 A beautiful antique handwoven Indian Agra rug is an alluring work of art for anyone wanting a elegant foundation for their room. 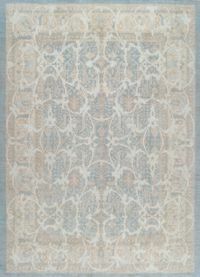 The captivating design certainly fits into any style from modern commercial to industrial chic and traditionally trendy. 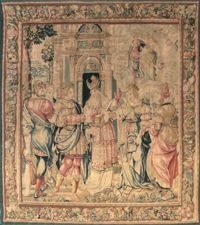 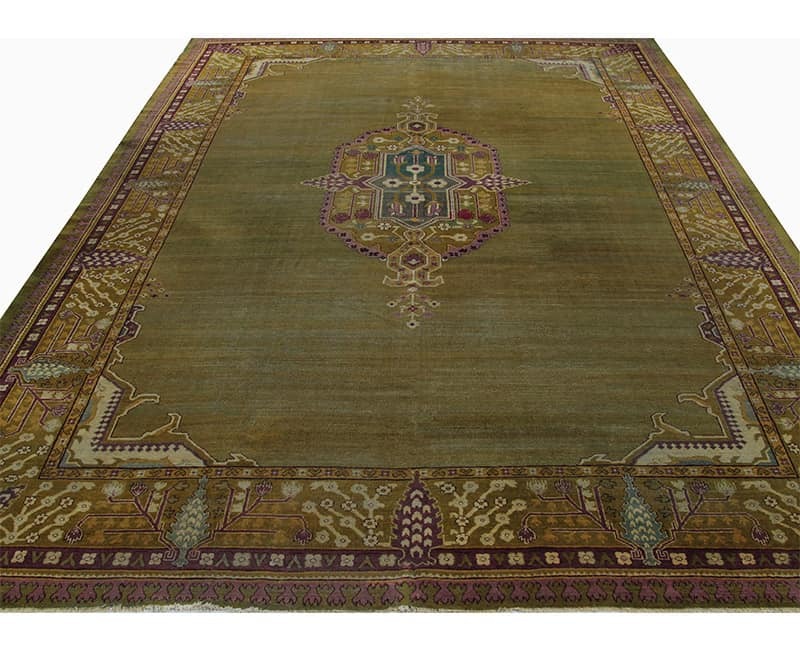 Therefore, connoisseurs consistently seek out Agra rugs of this caliber to add to their collection. 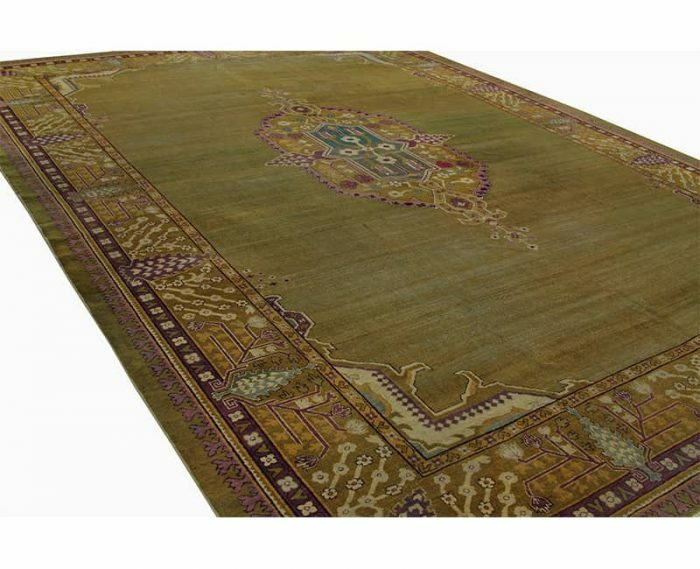 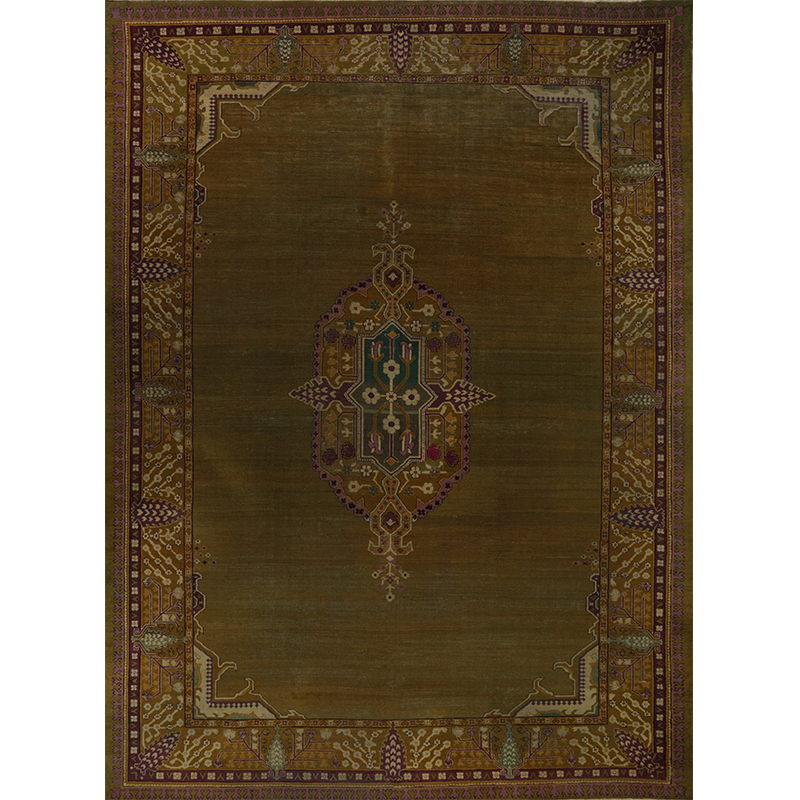 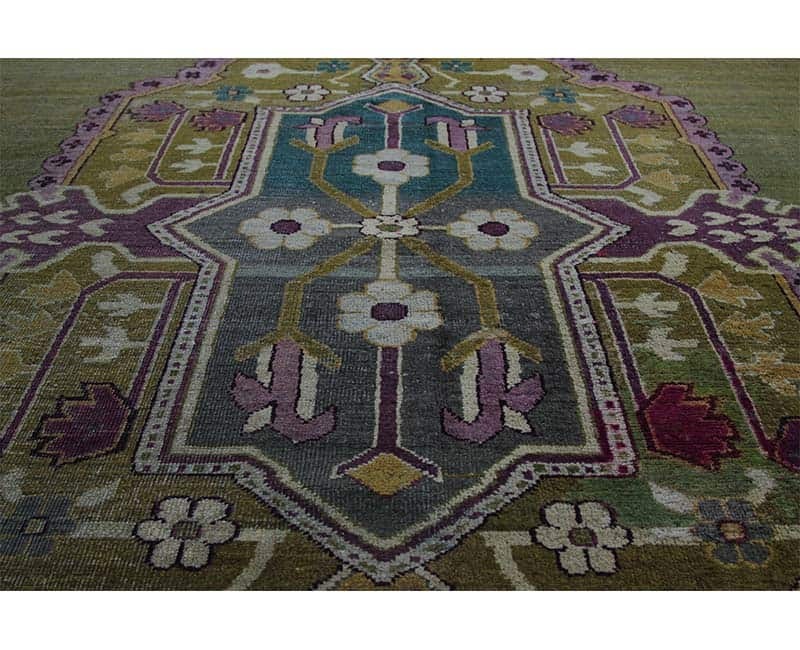 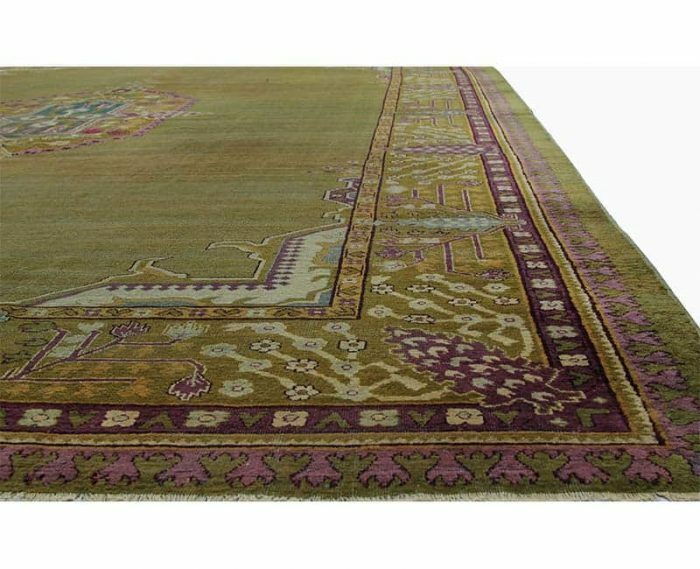 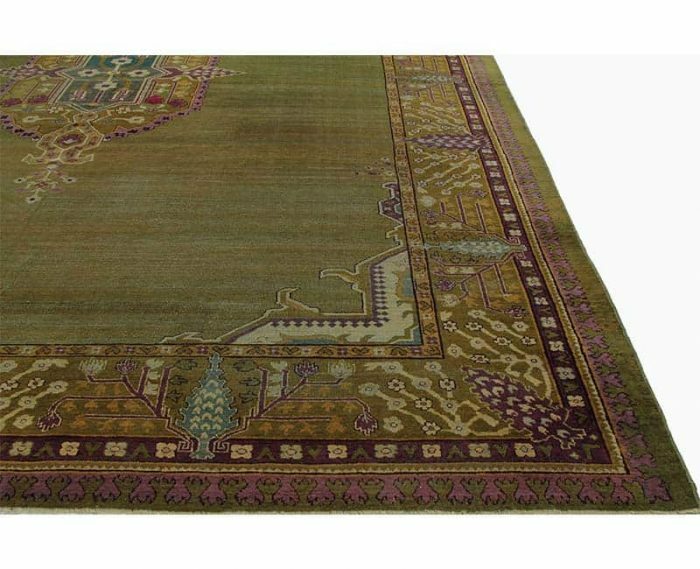 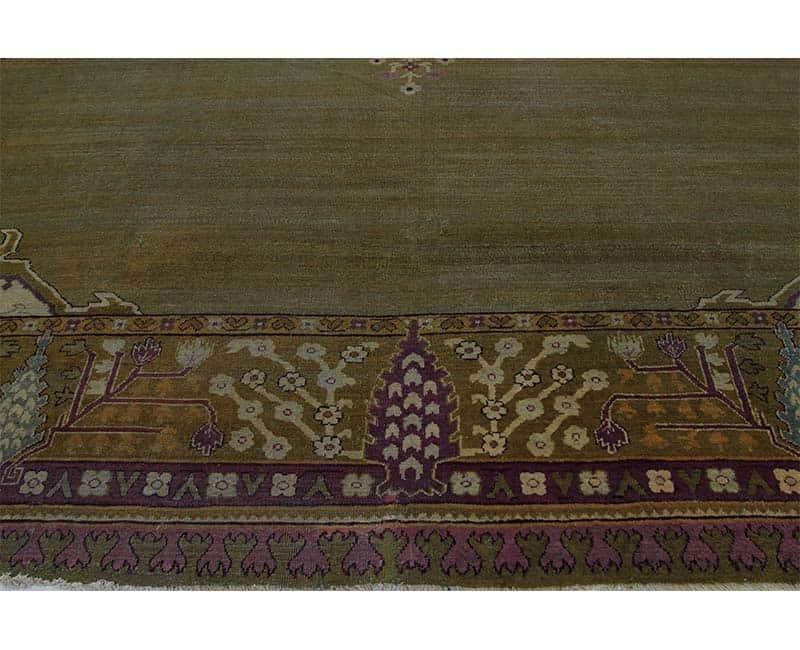 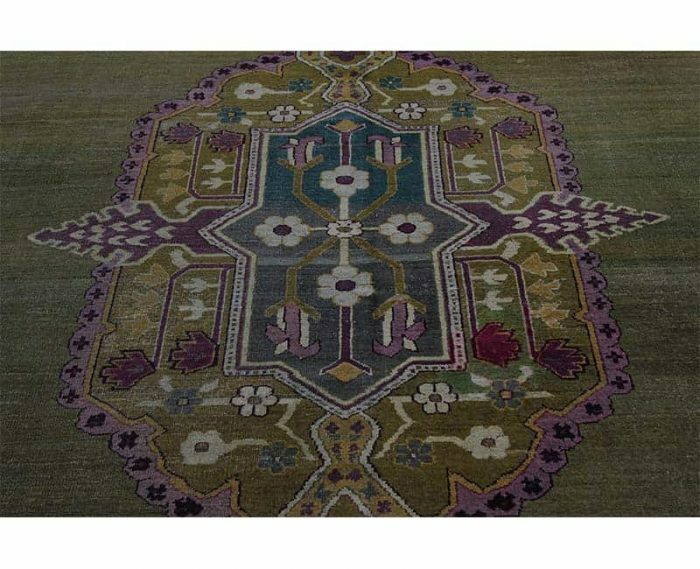 Traditional antique handwoven Indian Agra rug featuring an elegant jewel-shaped medallion with a teal-colored center, stylized cypress trees and floral motif rendered on a shaded olive green field with ivory corners. 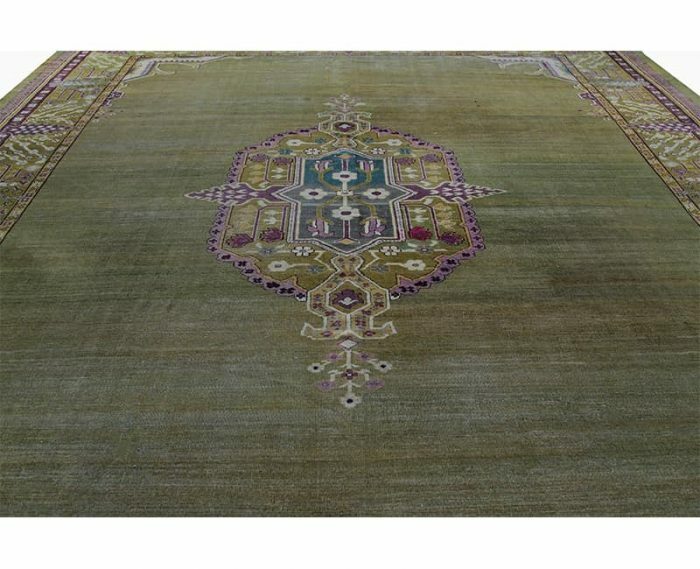 Additionally, the surrounding golden border features light green and magenta colored cypress trees and geometric ivory colored flowers between beautifully nuanced floral guards. 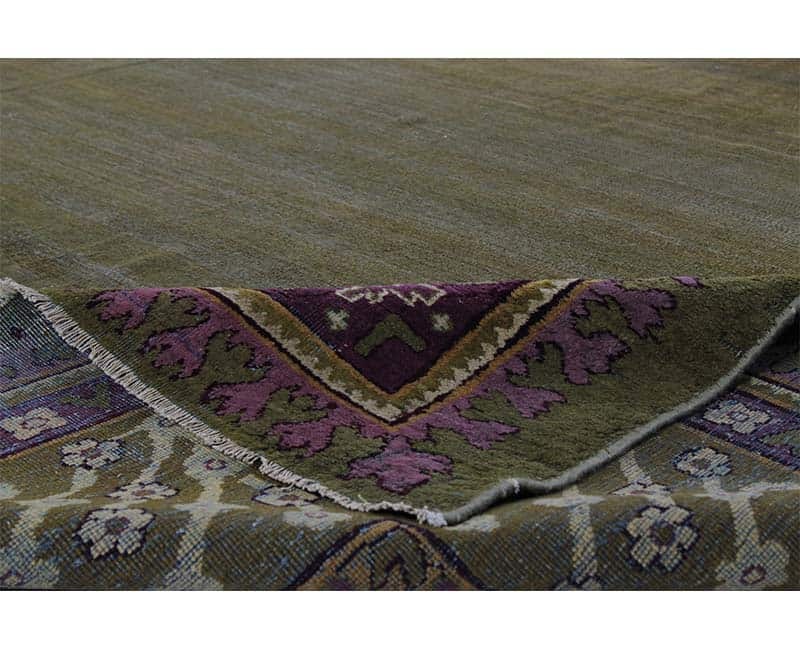 Created from 100% natural wool and cotton by the artisans of India. 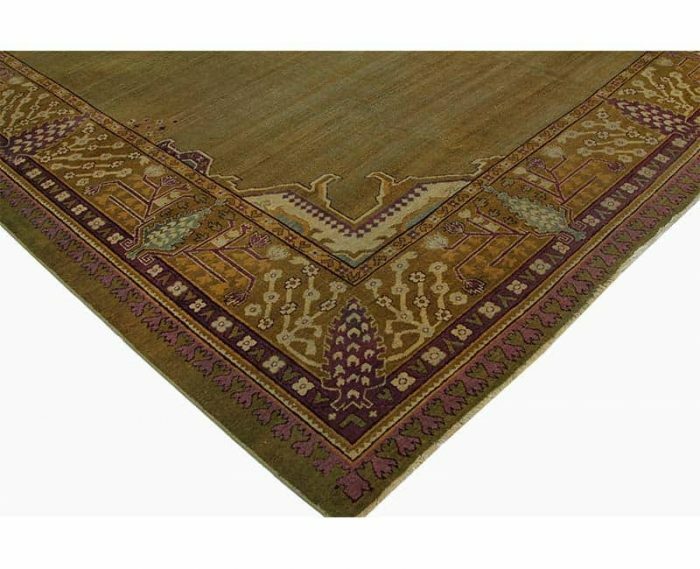 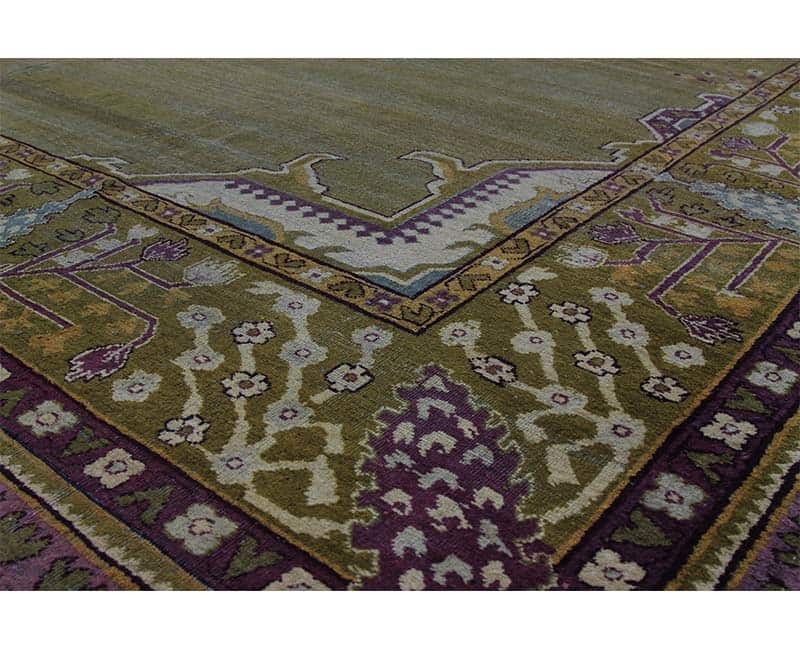 For more information, read our blog about Traditional Indian Agra Rugs.